I've really learned the joys of rocking non neutral shoes this year and I definitely need to find myself another pair! 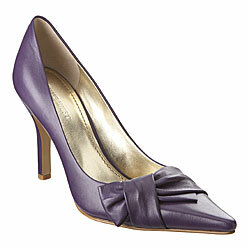 And it struck me that even though I'm obsessed with the color purple, I totally lack pair of bright purple heels! These by Nine West would be great and are only $60. They also come in a dusty red and some neutral colors.